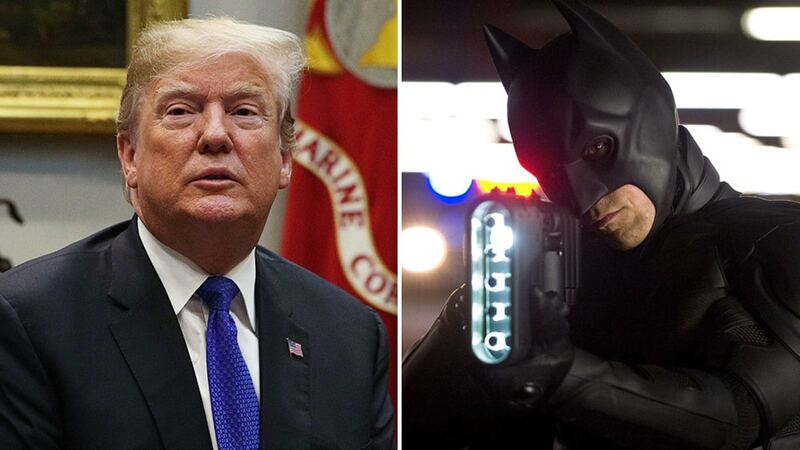 As per a new statement obtained by HuffPost, Warner Bros has reportedly filed copyright claim on Donald Trump after he used the score of “The Dark Knight Rises”. A bizarre video was uploaded on US President Donald Trump’s Twitter account which included clips of himself edited along with Hans Zimmer’s score from The Dark Knight Rises. According to BuzzFeed, Warner Bros and WarnerMedia are in a process of filing a copyright claim in order to have the video removed from Twitter. No comments have been made yet by the White House on this. Donald Trump’s Department of Justice once opposed the WarnerMedia and AT&T merger, although the courts of US allowed the deal to take place. Also Read: Armie Hammer is ready to play the batman! Hans Zimmer has given the background score for many Christopher Nolan films. He gave the score for all three Batman films by Nolan. He even won a Grammy for 2009’s The Dark Knight for Best Score Soundtrack. He was also nominated for the same award after four years for The Dark Knight Rises. Hans Zimmer also has an Academy Award for the background score in 1995s The Lion King. Shazam! is running in theaters now. Other upcoming DC movies this year include Joker releasing on October 10th.